Welcome to Pioneer Valley Pediatric Dentistry! Here at Pioneer Valley Pediatric Dentistry, we are proud to specialize in pediatric dentistry. We truly believe in starting children off right when it comes to their dental health. It is our goal to ensure that each visit goes well so that they think of the dentist’s office as a good place. Our entire staff is wonderful with children, allowing them to relax while we care for their teeth. Our office emphasizes the importance of good preventive dental care for children. From infants to teens, we offer state of the art care in a relaxed, friendly environment that children find comfortable. We see children from infancy to young adulthood. We specialize in treating children, and some adults with special needs. We welcome you in our treatment area and as a partner in your child’s dental health. Our dentists and staff have received extra training for primary teeth. Our goal is to protect your children’s teeth so they can eat and speak correctly. Our entire staff is very good with children. We know and understand how children think, so we can start them off right. We want them to believe the dentist’s office is a good place instead of being scared of it. Your Greenfield Pediatric Dentist serving the surrounding communities. ‘‘Dr. 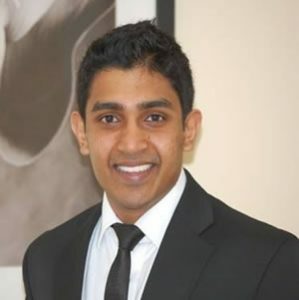 Ashish Parameswaran received his Bachelor’s degree in Engineering at the University of Michigan, Ann Arbor, with a concentration in Biomedical Engineering. He then went on for post graduate studies at the New Jersey Dental School (UMDNJ), where he received a degree as Doctor of Dental Medicine (D.M.D.). His interest in treating children, adolescents, and patients with special needs lead him to specialize as a Pediatric Dentist at Stony Brook University Hospital School of Dental Medicine, where he served as Chief Resident. After working in private practices in Western and Southern New Jersey, Dr. Ashish decided to move to western Massachusetts to join Dr. Roman’s practice in Greenfield, MA. Give your child a Happy, Healthy Smile! One way we ensure a healthy mouth is by performing regular checkups. Children should be seen every six months unless they have a problem. It is also recommended that during an examination your children get X-rays. Dental sealant is a plastic coating painted on your teeth. It attaches to your child’s teeth, smoothing the rough edges, depressions, and grooves that are typically found on teeth. It gives your child’s teeth a protective coating, helping to prevent tooth decay and cavities. Dental fillings are used to treat different dental problems like cavities and broken teeth. Teeth are usually filled with a material called composite resin, which is designed to look like natural teeth. One of the most commonly used types of sedation is nitrous oxide, which is also known as laughing gas. This helps many children relax during their procedure. Pioneer Valley Pediatric Dentistry is located at 51 Church Street. We are so excited to meet your child and build their confidence in a lifetime of smiles!